The 2018 Nissan Titan is one of just five models that make-up the competitive but small full-size pickup segment. This segment has been dominated for a very long time by the Ford F-150, a truck that has a lot to offer, there’s no doubt about that. Nissan knows that its Titan pickup truck faces a fierce competition, and that's why the Japanese manufacturer pulled out all the stops and left no stone unturned when it designed the all-new generation Titan a few years ago. You can look at it from both a tangible or intangible standpoint. 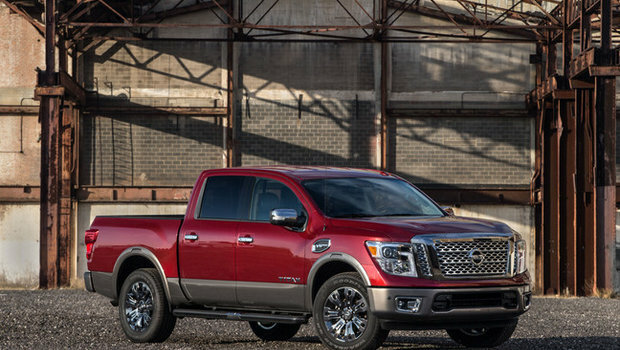 What’s certain is that you will find a host of reasons why the 2018 Nissan Titan is worth a shot. Starting at $ 44,650, the Nissan Titan is powered by a standard 5.6-liter V8 engine that delivers 390 horsepower and 394 pounf-feet of torque. This engine is paired with a seven-speed automatic and can tow up to 9,390 pounds. What's interesting about the 2018 Titan is that it comes with all the equipment to tow anything you need right out of the gate, which means there's no need to add expensive options to be able to take advantage of all the power found under the hood. If we look at the Nissan Titan XD, the most rugged Titan truck, towing capacity is even more impressive. Indeed, the 2018 Nissan Titan XD can tow more than 12,000 pounds, making it one of the most capable full-size trucks in the world. On the other hand, the 2018 Ford F-150 can’t do better than 11,970 pounds. The best way to describe the Titan XD would be a cross between a Ford F-150 and a F-250 model. On the other hand, you’re not paying F-250 pricing when you get into the Titan XD. 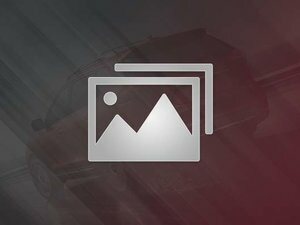 In addition, the 2018 Nissan Titan XD is the only one that offers a Cummins diesel engine. The 5.0-liter V8 in question develops 310 horsepower and an impressive 555 pound-feet of torque. In addition to being very powerful, this engine is matched with a 98-liter fuel tank which is a lot more than the F-150. That means you get greater range and can work longer with the Titan. It’s a small detail, but its owners will appreciate it. It was to be expected the Titan and F-150 share similar characteristics. That said, the biggest difference between the 2018 Nissan Titan and the Ford F-150 is found on the road. The Titan is a vehicle that focuses as much on comfort as on capability. On the road, it is stable and poised, and the comfort is really impressive. Here is a truck that has been designed as much as a work tool as it was designed for everyday use. Its refinement is second-to-none, and the comfort level is on par with a luxury vehicle. Driving the Nissan Titan on a daily basis is an absolute joy. You can’t say as much about the Ford F-150. That’s not saying that it isn’t refined or comfortable, it’s just not on the level of the F-150. 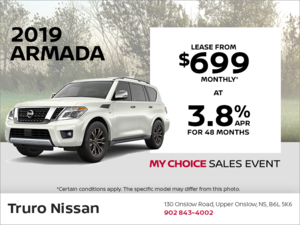 To learn more about the 2018 Nissan Titan, contact us today at Truro Nissan! Service Advisor needed - Our Service Department is GROWING! !